Looking for a quiet escape from the busy city rush? These coastal and beachside paths are a great place to start, offering a serene escape from the traffic of inner city life. Take a run along this serene part of Port Phillip Bay. Known for its beautiful views, you may spot an artist or two using this scenery as their muse. This track allows you to see a quieter part of the bay trailing through the Bayside suburbs of Beaumaris, Black Rock, Sandringham, Hampton and Brighton. There are various lookouts along the way, a marine sanctuary at Rickett's Point and there is a good chance in the summer months of spotting a Dolphin. There are stops along the way for coffee by visiting each suburbs shopping strips not far from the beach path or an opportunity for fish and chips at Half Moon Bay if you’re a bit peckish. This part of the bay is a beautiful tranquil spot that until the Brighton Beach boxes is frequented by locals. When you get to Brighton be sure to go to Green Point, for a great photo opportunity of the beach and the city looming behind. 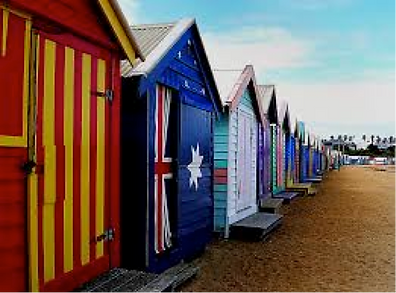 From Beaumaris Beach Foreshore to the Brighton Beach Boxes is just over 12k. 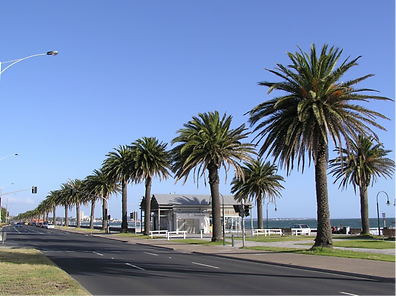 After a coffee in Acland St, cross the road near Luna Park and enjoy a beachside run along this stretch of Port Philip Bay and see how many skateboarders, pairs of rollerblades and sunbathers you can spot! Look to your right and see the elevated St Kilda Esplanade Markets on the other side of the road, a great tourist attraction and look to your left to take in the beautiful palm trees and lush Catani Gardens. Continue to run along Beaconsfield Parade past Middle Park and Albert Park. As you go past great restaurants and cafes (try Sandbar Beach cafe for a good coffee (175B Beaconsfield Parade, Middle Park VIC 3206) and pass runners who routinely enjoy this path with vista, see if you can spot the statue of a sailor called ‘Answering the call!, waving people of the sea who catch the cruise liners. The walk from Luna Park to Port Melbourne is just under 5ks. Is the Spirit of Tasmania docked today? On the east coast about an hour’s drive from the city and out of Port Philip Bay, is a majestic 28km walking trail that leads you from Dromana to Cape Schank. 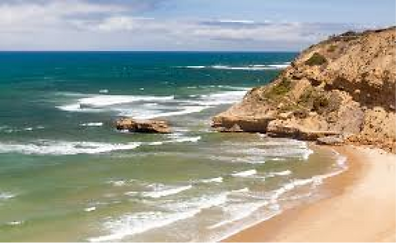 Although it may be more of a day trip, it is well worth the walk or run to view beautiful seascapes and ample photograph opportunity to make your friends wish they were here. These are just sections of trails and can be adjusted to be longer or shorter.